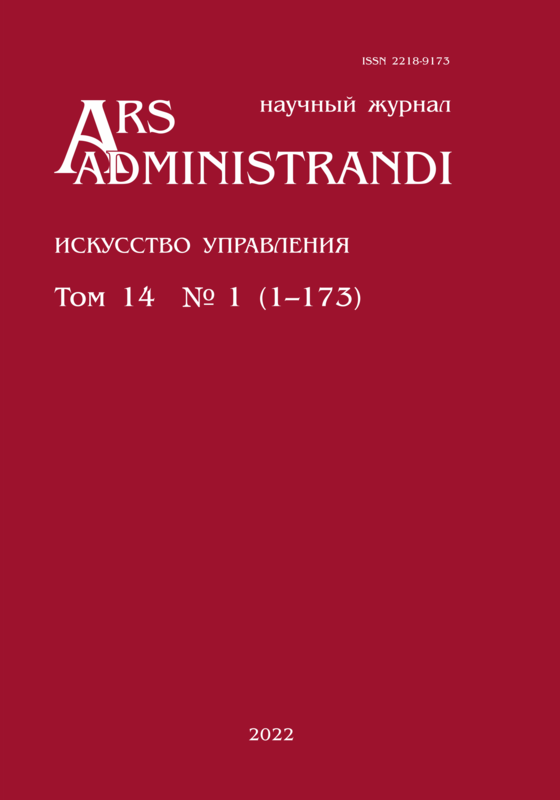 The journal "ARS ADMINISTRANDI" is a scientific publication and is aimed at specialists in the sphere of state and municipal government: researchers, government officials, professors and many other readers highly interested in the issues of the development of state government and local self-government in Russia and abroad. The journal has been published since 2009. A Web version of the journal was launched in May, 2011. Perm State National Research University is the founder of the journal. The journal is published 4 times annually. 23.00.05 – Political Regional Studies. Ethnopolitics (Political Science). The articles, materials of the forums, conferences, roundtable discussions on theoretical issues, history and practice of the state government and local government are published in the journal. The representatives of Russian and international scientific communities, state and local government units, political parties and public associations are invited to send their articles for publication in the journal. The journal is registered in the system of the Russian Scientific Citation Index (RSCI). It is registered in the Federal Supervision Agency for Information Technologies and Communications (Registration Certificate of Mass Media ПИ №ФС77-66778 issued on 8.08.2016).